Flipkart is now preparing to offer complete mobile protection at Rs 49 per year. The company has already tied hands with Asus for Zenfone Max Pro M1. Flipkart has been focusing on providing better and convenient services for its customers. Previously, Flipkart has offered instant cashback, no cost EMIs, guaranteed buybacks etc. If we talk about mobile, 2 out of 3 mobiles sold on the internet are from Flipkart. Flipkart has been generating a large number of sales from its mobile category. Almost 25% of the online market has been captured by Flipkart. 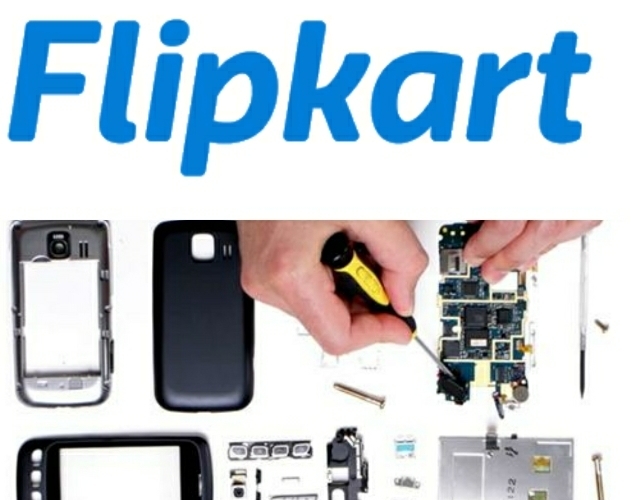 Flipkart recently realized that a lot of people face problems with the after sale servicing of their mobile phones. Therefore, Flipkart has planned to shake hands with all the mobile brands on its platform and planned to offer complete mobile servicing for just Rs.49 per year. This will be an introductory price. Flipkart has already shaken hands with Asus to provide services for its handset Zenfone Max Pro M1. Let’s check out the key highlights of the services. All the mobile brands which are featured in Flipkart will offer the service in the next three month. You will get this benefit for every smartphone which is the lowest offered till now. The subscription will feature complete protection for any kind of damage that other insurance companies provide. Flipkart is expecting a hike in sale in the next big billion day sale. The Company might acquire a large percentage of sales in the mobile segment. Flipkart is Preparing to offer a complete full year protection for mobile phones at just Rs.49. As per the service, a customer executive will pick your damaged smartphone from your doorstep and return it within 10 days. The 10 days time period is for remote areas otherwise company claims that it will be able to provide service within 3 days in metropolitan cities. Flipkart has acquired F1 info Solutions in order to provide the services for the subscription. Flipkart is currently offering the subscription for Asus Zenfone Max Pro M1. Asus Zenfone Max Pro M1 comes with Snapdragon 636, a dual camera setup and a battery of 5000 mAH. The 3GB variant is offered at a price of Rs.10,999 and 4GB is coming for Rs.12,999. The 6GB variant of the phone will be launched at a price of Rs.14,999. The company is planning to sell almost half a million smartphones using this subscription. The subscription is based on the problem faced by people where they don’t where to go to get their phone repaired. Note: The subscription being offered will be different from the warranty provided. Ayyappan R, Senior Director (Head of Mobiles) at Flipkart said, “For smartphone customers, we will become the single-point of contact for all service-related issues. The customer will have to just call Flipkart. We will send someone to your doorstep, pick up the phone, fix it and return it to your doorstep. The longest time taken will be 10 days for the remote locations that we cover. In metros, we will be able to do this in under three days. ".